ENGINE, ECOTEC 2.4L DOHC, 16-VALVE, 4-CYLINDER VARIABLE VALVE TIMING MFI (169 hp [126.0 kW] @ 6400 rpm, 160 lb-ft torque [216.0 N-m] @ 4500 rpm) (STD), XM Radio XM Radio (subscription required), Wipers, front intermittent, variable, speed-sensitive, Windows, power with driver Express-Down and Up and rear passenger lockout, Window trim, bright, side, Wheels, 17" (43.2 cm) ultra bright aluminum, Visors, driver and front passenger illuminated vanity mirrors, covered, Universal Home Remote includes garage door opener, 3-channel programmable, Trunk release, power, interior, Trunk emergency release handle. This Chevrolet Malibu has a dependable Gas 4-Cyl 2.4L/146.5 engine powering this Automatic transmission. Transmission, 6-speed automatic electronically controlled with overdrive, Tires, 17" (43.2 cm) touring, blackwall, Tire, compact spare, Tire Pressure Monitor, Theft-deterrent system, vehicle, PASS-Key III+, Theft-deterrent alarm system, content theft alarm, TAPshift manual shift control, on steering wheel, Tail lamps, incandescent, Suspension, 4-wheel independent, Steering, Electric Power Steering (EPS) assist, Steering wheel, 3-spoke leather-wrapped with mounted audio and cruise controls, Steering column, tilt and telescopic, StabiliTrak, stability control system with brake assist, includes traction control, Shift knob, leather-wrapped, Seats, heated driver and front passenger, Seats, front bucket with UltraLux reclining seatbacks and adjustable outboard head restraints, Seat, rear 60/40 split-folding seatback, Seat adjuster, driver power vertical height, Seat adjuster, driver manual lumbar control, Seat adjuster, driver 6-way power. 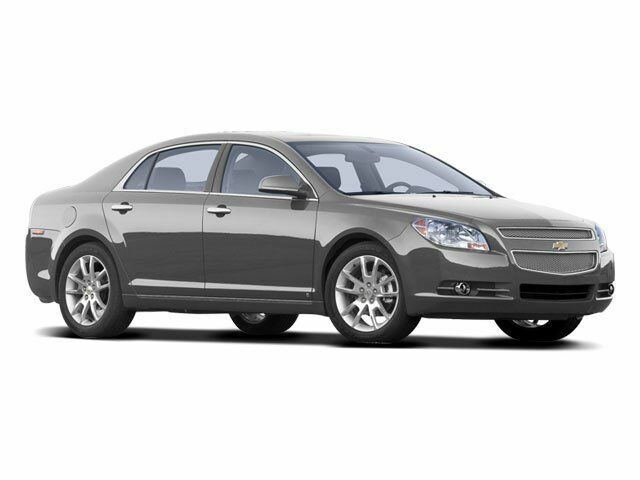 As reported by KBB.com: The 2009 Chevrolet Malibu's bold, attractive sheetmetal and stylish interior touches are backed by confident handling, a quiet ride and an overall level of refinement competitive with the category's best. Unlike some competitors, the fuel-efficient four-cylinder engine is available on all Malibu trims, not just the entry-level model.